Are you stuck for idea on what to buy the new little bundle of joy in your family on their first Christmas? It can be hard knowing what to buy a little newborn because their not really all that active in the first few months, but here's a few ideas to help their development and have fun! The Peter Rabbit pull down musical toy. One of my personal favorites, something that i might just have to buy my little one when he arrives! Gorgeously soft with silky fabric ties that enable you to attach the toy to either the pram, car seat handle, cot or play pen. 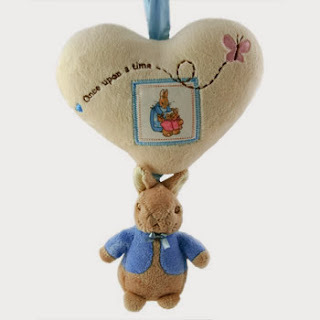 Simply pull down Peter Rabbit to hear 'Brahms Lullaby'. Helps the development of auditory and awareness skills. 0 months +. 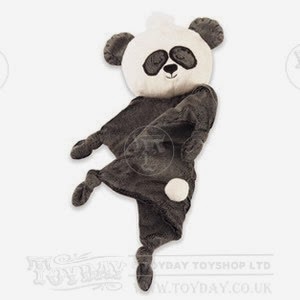 Mr Snuggly Patches panda blanket. A beautiful soft panda blanket is the perfect comforter for any little one! 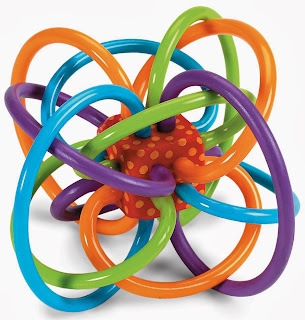 Has knotted corners great for grasping hold of and chewing when teething time comes! 0 months +. 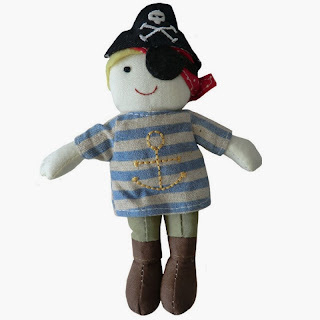 This cute little pirate rag doll with a rattle inside is a lovely little toy for baby to hold onto, and discover that by shaking it, it rattles. Suitable 0 months +. Another lovely rattle for mummy's little soldier! Suitable 0 months +. 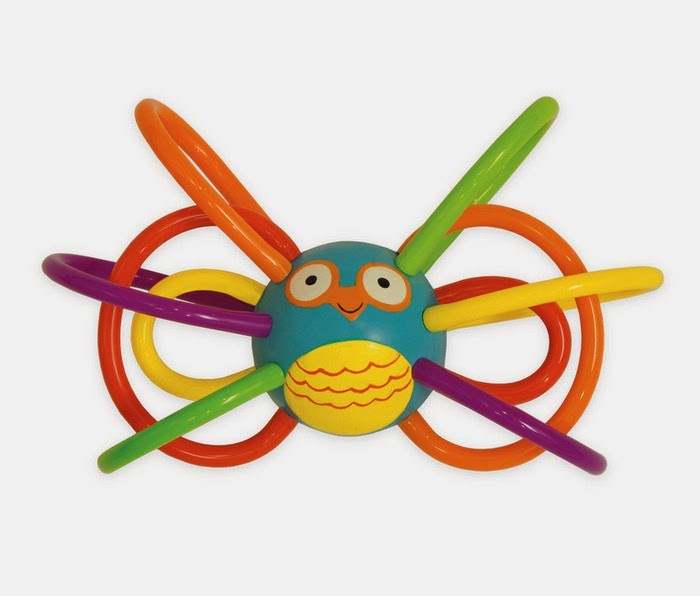 The soft plastic loops on this toy are perfect for little fingers to hold onto and if chewed on will give some relief when teething. Inside the cube in the center of the winkle is a rattle. Suitable from 0 months +. A classic winkle loop with a cute little owl face can be stored in fridge and be used as a soothing teething toy, again the colourful loops are easy for baby to grasp and the owl has a rattle inside. Suitable for 0 months +. 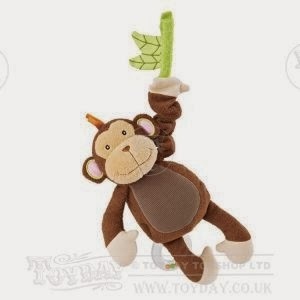 Last but not least the Pull melody monkey. Has a clear plastic ring rattle on the end of its tail, a crinkle effect material on his belly and when arm is pulled he plays Brahms lullaby. Can also be attached to car seats, cots and prams. Suitable 3 months +. for great traditional and classic toys.